Do you work in childcare? Are you looking for day nursery events? Then Childcare Expo is for you. We host free events designed to fill you with ideas to stimulate and encourage a child’s development no matter what area of childcare you specialise in. Read on to find out more about what you can expect from our nursery events. Why come to our nursery day events? Childcare Expo is an event that many caregivers have pencilled in their diary well in advance. This is because they want to be the first to find out about the newest nursery products and the best practices for successful childcare. From start to finish, our exhibitions are packed with new product offers, informative seminars, and interactive workshops making our nursery day events an absolute must for childcare professionals. There are many discounts to be found at our day-long nursery events that you would not find elsewhere. Our exhibitors will be showing stationery, books, and practical learning materials that you can see and try out for yourself before making any purchases. You will also get the chance to network with industry experts who can give tailored advice which can help boost the success of your childcare business. 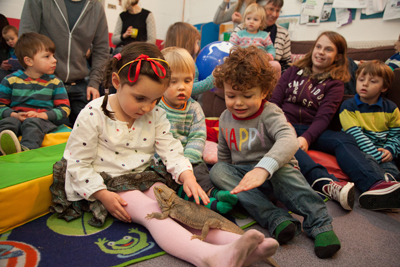 What’s in store at our day nursery events? At our day nursery events, we have many nursery suppliers who offer a broad range of products and services associated with childcare. We also run a number of seminars and workshops filled with information on the theory behind early year care, and effective teaching techniques. All sessions are run by professionals within the childcare industry, including early years consultants, speech and language therapists, and paediatric psychiatrists to name a few. After the day nursery event, you will be awarded an electronic CPD certificate for every seminar attended. At the Childcare Expo, our day-long nursery events also offer the perfect chance for social media enthusiasts to engage with other like-minded individuals. Why not pose for a photo in our ‘Snap & Share Zone’ before taking to our message boards or your preferred social platform to have your say. Remember to use #ChildcareExpo to get your posts seen by the right people! Why choose Broadway Events for your day nursery events? When you are looking for day-long nursery events that are the best around, there are only two names that you need to remember – Childcare Expo and Broadway Events. At Broadway Events, we are the proud owners of Childcare Expo and are responsible for the implementation of all three national events. Thanks to market-leading research and a firm understanding of the industry, we can create exhibitions that are tailored to all childcare professionals. As a result, our day nursery events are attended by thousands of individuals every single year, hungry for knowledge and eager to discover something new. Our award nominated company offers an exceptional approach and an outstanding commitment to putting on the most engaging events around. So when you are looking for day nursery events, look-up Childcare Expo and see what we have to offer. If you’re interested in showcasing your day nursery services or products at Childcare Expo, we’d love to hear from you. Just enter your details in our exhibiting and sponsorship contact form, and we will contact you shortly to confirm your place at one of our nursery day events. Don’t miss out on the most talked about childcare exhibition in the country – click here to register for our free day nursery events. For more information, feel free to contact us on 01425 838393 or info@childcareexpo.co.uk.